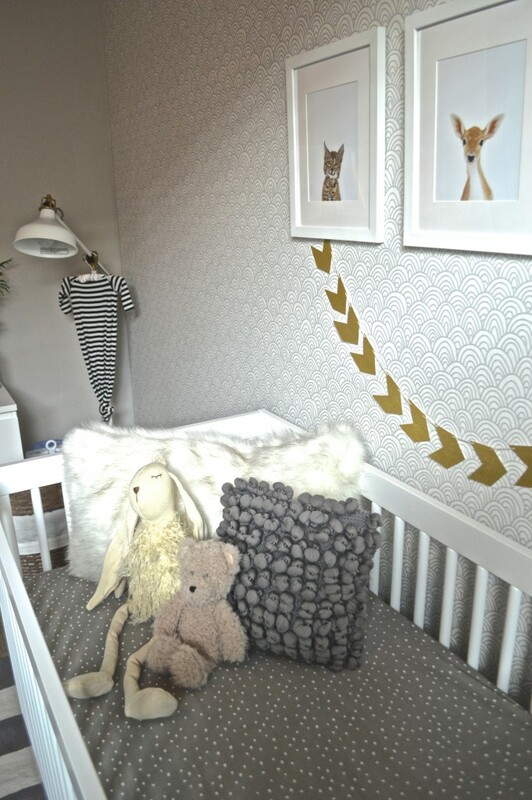 Modern baby boy nursery with hints of navy blue, splashes of gold & a fabulous shag rug! The wallpaper was the inspiration & the first thing I picked. I found it on Spoonflower.com which offers thousands of wallpaper options. Modern & casual with a hint of traditional. My favorite item is by far the cobalt shag rug! The color is so vibrant and it's softness is just begging for someone to lay on it-- I love it! Don't be afraid to make something if you cannot find it online! I couldn't find the perfect mobile so I decided to make one myself with yarn, and craft paint. It turned out better than I could have imagined and it is one-of-a-kind! Momma-to-be living in sunny California!